If you are holding an awareness or fundraising event or activity for Pancreatic Cancer Action or want to publicise Pancreatic Cancer Awareness Month, why not get in touch with the local press to tell them about it? 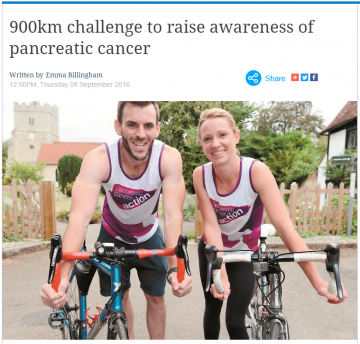 It will help raise awareness of pancreatic cancer and give your sponsorship a boost! Click here for some top tips! A press release is a short account of an event or piece of news that gives the journalist all the key details they need to cover the story. A short concise press release is more likely to be covered by the paper. Aim for approximately 200 words. Which charity you’re supporting – Pancreatic Cancer Action! Don’t be afraid to call the local media about your event. However, it’s important to remember that journalists work to tight deadlines so remember to keep it brief when phoning with your story. 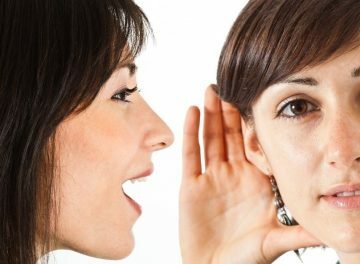 Avoid calling just to ask if they have received your press release, tell them what you are doing and that you want them to cover it to raise awareness of a neglected disease. They may ask you to send the release again. Refer any questions about pancreatic cancer to Pancreatic Cancer Action on 0303 040 1770. Say thank you! Saying thank you to the local newspaper or radio station who covers your story will help you develop good relationships with your local media.